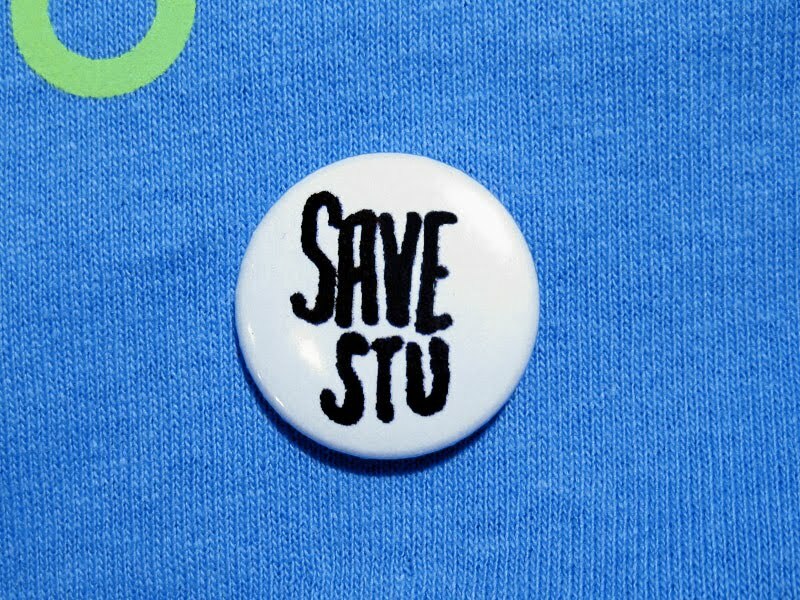 "I personally feel my badge design is far from genius compared to other badges Stu did or the two last designers did. I'm just not a designer. 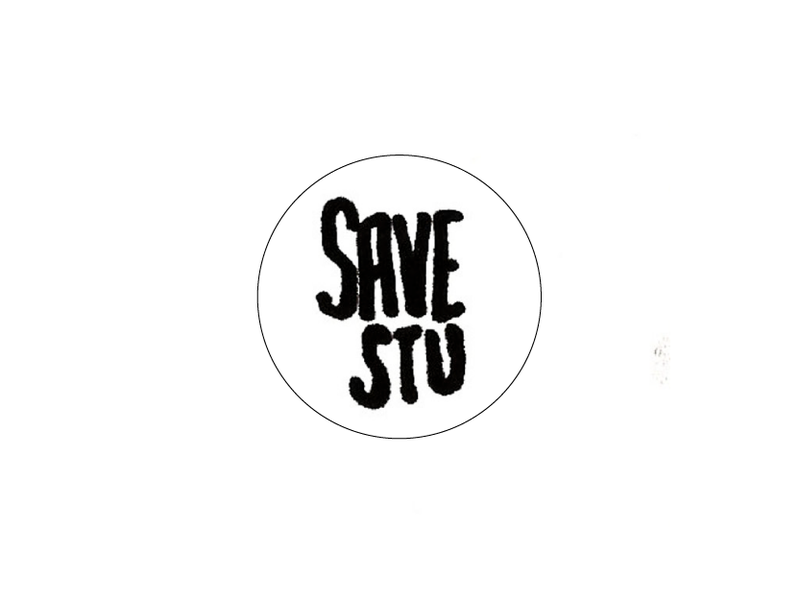 However, I did want to make one because I feel it is important to support Stu in what he does. I blogged about him months ago when the project had only just started. Never would I have thought it'd grow out to be something so great. So first I thought I'd do a 'Support Stu' badge but that sounded a little stupid. But supporting him is definitely the idea behind it, I believe more people should do it. Then I thought of 'Ferris Bueller's Day off', one of my favourite films. There's a scene with a big balloon saying 'Save Ferris' which is pretty funny if you know the film. 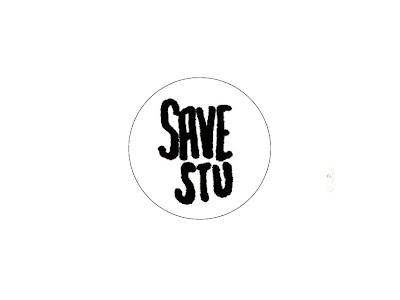 Anyway, it sounded nice to say 'Save Stu' and also a little silly. I guess the point doesn't instantly come across but that's okay.